Florida’s pharmacy technician certificate programs help health care employers meet the rising need for trained technicians in the hospital and retail pharmacy setting. In the last decade, the demands for pharmacy technicians have almost doubled as these professionals become indispensable to the people they serve. Growing demands for prescription medications coupled with a shortage of registered pharmacists have created new opportunities for pharmacy technicians to play an important role in the industry. The expanding role of pharmacy technicians in the health care setting raises some concerns for employers and state pharmacy boards. As a result, the Florida Board of Pharmacy requires pharmacy technicians to register with the Board after completing an approved training program. 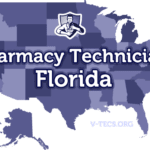 Florida’s pharmacy technician candidates must register by filing an application with the board before performing assigned duties under the direct supervision of a licensed pharmacist. The applicant must submit proof of completing a pharmacy technician program, approved by the Board of Pharmacy, along with the non-refundable application fee. While the Board requires technicians to register before working in a hospital or retail pharmacy setting, pharmacy technician students enrolled in a board-approved program, can work in a pharmacy for the purpose of practical training. During that time, the student must wear identification to indicate student status. Licensed pharmacy interns can obtain employment as registered pharmacy technicians without filing an application to the board to register as a pharmacy technician. Employers must verify a prospective employee’s registration before hire. You must be at least 17 years old at the time of application for Florida state registration. The Florida Board of Pharmacy does not require a high school diploma to process your application. While this lowers barriers to entry, many employers may request a copy of your high school diploma or GED with your application for employment. Those provided by a branch of the federal armed services. The Board also approved a list of employer-based pharmacy technician training programs available on the Department of Health website. See below for a full list of training programs. The Board will request a certified copy of documents of disciplinary actions taken against you if you answer “yes” to any questions related to the disciplinary history on the application. They will also need details of the circumstances that led to the action taken against you and a description of your rehabilitative steps. The Board expects pharmacy technicians to be in good health. If you suffer from any of the medical conditions highlighted on the application form, you’ll need to submit documentation detailing your current status, treatment and prognosis from a licensed professional. A criminal background check is another requirement for Board registration. The Board may clear minor offenses upon review. However, repeat offenders and violent crimes must undergo an extensive board review and applicants must submit evidence of rehabilitation. All applicants with prior convictions must submit copies of arrest records, proof of completion of parole, probation or sanctions, and an explanation of the circumstances surrounding the offense. Florida’s pharmacy technician training providers prepare students for entry-level employment as pharmacy technicians. Through theoretical training and practical skills, they acquire the confidence to support licensed pharmacists in hospitals, retail pharmacies, nursing homes and mail-order pharmacies. During the program, students learn how to maintain patient medication records, deliver medication to patient rooms, fulfill prescriptions, maintain inventory, fill medical forms for insurance and billing purposes. Course content includes pharmacy calculations, nutrition, health care systems, medical terminology, pharmacology, pharmacy law and ethics, and computer technology. A clinical externship is a critical part of the program. Students work in local pharmacies where they practice performing the duties of a pharmacy technician. Clinical externships are usually a minimum of 180 hours long. Graduates of pharmacy technician programs can register with the Board of Pharmacy and can also apply for the PTCB certification exam. Pharmacy technician programs range from $1,450 to $18,749 in Florida for tuition only. Additional costs include books, exams, uniform, and other supplies. Some programs/pharmacists may pay a small stipend during the clinical externship. Financial aid may be available to help cover the costs of training for those students who meet the eligibility criteria. Duration depends on whether you attend full-time or part-time and the number of training hours the program provides. Generally, students can complete training in as little as 4 months or as long as 24 months (for associate degree programs). Many accredited programs offer credits that you can transfer to a degree program. With all other factors equal, an employer will employ a candidate who took the initiative to acquire certification. The Board of Pharmacy emphasizes formal training above all else but does recognize certification from the Pharmacy Technician Certification Board (PTCB). 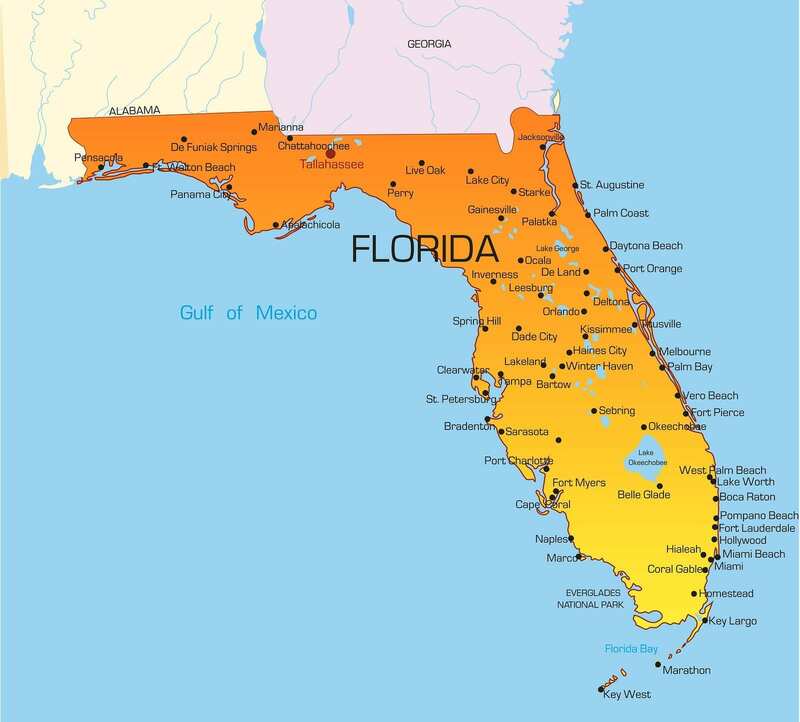 While Florida registration is state-contained, PTCB certification is valid nationwide. The national certification gives candidates immediate recognition and enable them to offer quality patient care and service. Once candidates pass the Pharmacy Technician Certification Exam (PTCE) and meet the other eligibility requirements, they can use the designation CPhT (Certified Pharmacy Technician). Certification must be renewed every two years after meeting the Board’s continuing education requirements. Applicants must possess a high school diploma and pass a criminal background check to obtain certification. The fee for the Pearson Vue administered exam is $129. The exam contains 90 multiple-choice questions, 80 scored and 10 unscored, which tests candidates’ comprehension of 9 knowledge domains. Along with a completed application for pharmacy technician registration, you must submit a completed social security form, official transcript of your pharmacy technician training, and the $105 fee ($50.00 non-refundable application fee, $50.00 registration fee, $5.00 unlicensed application fee). The Board will send out a deficiency letter if you fail to provide proof of completing an approved training program. If you answer “yes” to any of the questions related to disciplinary actions, criminal history or medical history, you must also submit supporting documents. You must submit all requirements for registration within one year of submitting your application before your documents expire. The Board will acknowledge receipt of the application and will send a copy of your license within 7 days of the issue date. Meet the continuing education requirements, which is 20 hours of courses approved by the board or the Accreditation Council for Pharmacy Education. Florida does not accept license transfers from other states. 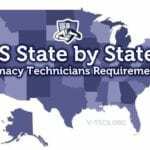 Pharmacy technicians from other states must complete a training program or provide proof of training from another state for the Pharmacy Board review. 25 Se Martin Luther King Blvd. Access Americare Health Services Inc.
7410 W. Boynton Beach Blvd. D & Y Pharmacy Discount,Corp. Cheek And Scott Drugs Inc.
La Cubana Pharmacy & Discount, Inc.
Sullivan And Cogliano Training Centers, Inc.
A To Z Pharmacy Inc.
34911 Us Hwy 19 N.
2256 W. Nine Mile Rd. Fresenius Medical Care Pharmacy Services, Inc.
Central Florida Family Health Center, Inc.
Hedges Prescription Shop Of Sarasota Inc.
Liberty For All Pharmacy, Inc.
3533 N. Pine Island Rd. Medco Health Solutions Of Netpark, L.L.C. Colonial Drugs Of Orlando, LLC.